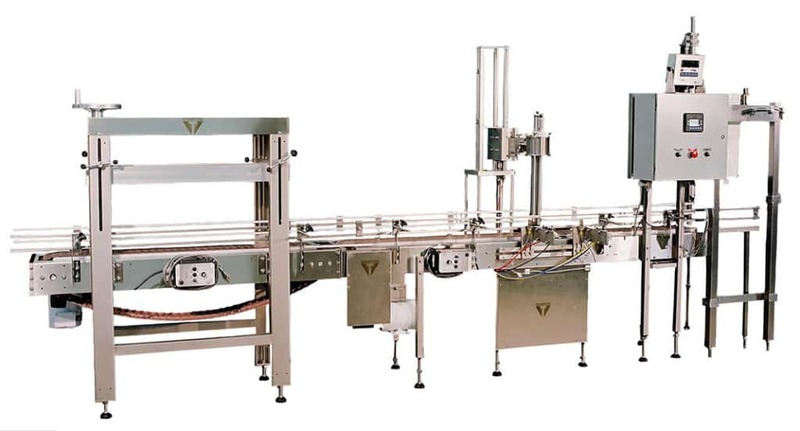 Volumetric Technologies Pail Filling and Liquid Filling Machines are top of the line in the industry for automatic filling equipment. Our machines fill each pail or bottle perfectly, every time, with the highest accuracy rate. If your company is in the food, chemical, or cosmetic industries and you need to fill containers at a high speed, Volumetric Technologies Liquid Filling and Pail Filling machines are the perfect solution for sorting, filling, and lidding bottles and pails of all shapes and sizes. The pail filling process starts with a closed top conveying line, built out of stainless steel. The desired weight is then entered into the menu driven operator controls. From there, containers will be denested (separated) and automatically placed onto the conveying line. The conveying line will index the containers to the filling station, where they are filled using a servo controlled pump. The type of pump used will be determined by the viscosity of your product. When the load cells have determined that the container has reached the desired weight that was entered at the beginning of the process, it is indexed downstream to the roller lid press. 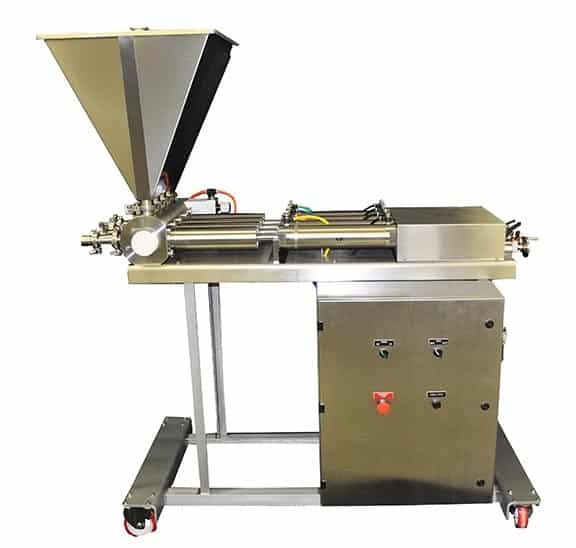 The roller lid press is adjustable to lid containers of different heights. An optional automatic lid dispenser is also available. All components of the pail line can be utilized separately or together as a complete filling solution. The liquid filling process starts with either our 90 series horizontal piston filler or 45 series inline piston filler. The product is deposited into the container using a Stainless Steel 316L filler, with either single or multiple heads. The machine is fast yet gentle on the product and will not compromise the integrity of your liquid. This filling machine allows for up to 12 filling stations, that can fill up to 100 deposits per minute. Fully customizable with options including: liquid level controls, dispensing nozzles, bottle rinser, a variety of container escapement choices, travelling carriages, and much more. This is all controlled by the UL listed control panel. If you need to fill containers with anything from salad dressing, to paints, to BBQ sauce, Volumetric Liquid Filling and Pail Filling Machines are your solution. Fully automatic, customizable, and user friendly, our equipment can handle all of your company’s filling needs.